Okay... 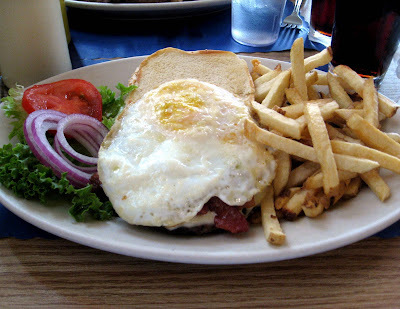 So I really tried to refrain from giving this "local flavor" section of my blog a heart attack, but I couldn't resist. Remember the "Nugget Burger" I mentioned in my last post? Well... there it is for ya. 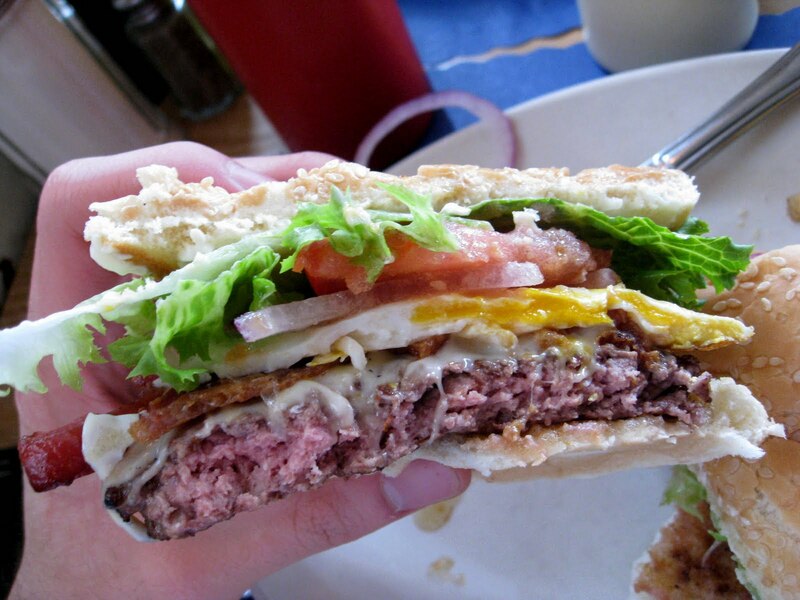 It's basically a bacon cheese burger with a fried egg in the middle. Ouch... I got heartburn just typing that out! This is pretty much what I usually order during my late nights visits at Grubstake. Perfect 4am meal. Pass the Tums, por favor.